Team Leader Qualities Everyone Must Posses! Have you ever wondered who a team leader is? What makes proper team leader qualities? A team leader is a person who is equipped with the correct number of certain traits and characteristics that can compel his/her subordinates to become a better version of themselves. Qualities like a positive outlook, perseverance, compassion, integrity, and strong communication abilities make a team leader. A team leader is not born like that; it is true they gain such expertise by enrolling themselves in formal training or various other courses. 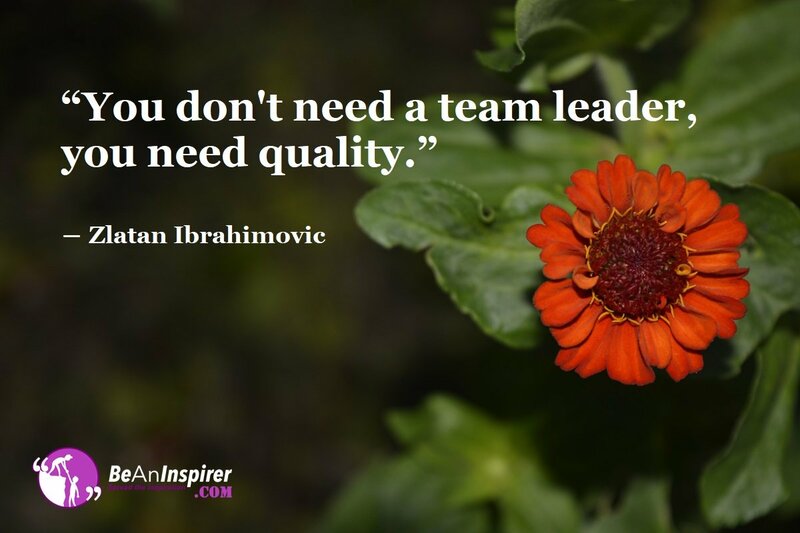 But, the genuine qualities of an effective team leader must come from the inside! There is nothing more precise than clear communication. An efficient communication helps the team members to understand what the team leader expects from them how they should execute those expectations. Being kind and compassionate holds a major role while deciding team leader qualities. A team leader should treat every member of the team equally. He/she must treat them the way he/she wants to be treated. Kindness and compassion must go hand in hand! A team leader must possess a confident vibe around him/her. He/she should showcase confidence in his/her abilities as well as in the team members. A confident team leader also gives assurance of his/her authority to the members. Team leaders who exhibit influential traits compel the team members to achieve certain goals and objectives more effectively and efficiently. They also aid in bringing about changes in the organization via proper decision-making and communication. One of the most vital team leader qualities is that you should be extremely honest with your subordinates. In such a scenario, the team members tend to trust the leader even more. And where there is trust, a beautiful pathway towards miracles open up! An effective team leader must know what to delegate and whom to delegate to achieve maximized efficiency. The delegation also instills a sense of trust and positivity amongst team members. An effective team leader is conducive to a sustainable organization. Even in life, you have to be your leader. You have to be kind and compassionate towards yourself. You need to be confident and full of integrity. You should know your worth. Team leaders are pioneers in streamlining the decision-making process, and in that exact manner, you must know what’s more important for you and work on that. We, as humans, tend to lose our focus easily, but if we become our leaders and lead ourselves, we can be great in life! Being a team leader and working to become better as a person and working towards the betterment of those around us summarize the team leader qualities! If you liked reading this article as much as I liked writing it, please share your comments below in the comment box. I would love to hear from you!